I’m currently reading One flew Over the Cuckoo’s Nest, written by Ken Kesey in the sixties, Oregon. I’ve got quite a number of US novelist in my reading list at the moment, now that I think of it… But I’ve been curious about this one for some time, since a friend of mine told me the narrator voice was the seemingly deaf Indian Chief (by coincidence this friend is doing an internship in the psychiatric ward of an Italian hospital right now). I bought the Penguin Modern Classic edition, that includes the writer’s sketches as well. The reason I opened a post about it is that I’m stunned by the way it is written: there is a visual element in the way the story is told that whoa, it’is just blowing my mind. Of course I like the story – I liked it years ago when I saw the movie, and it had been a lasting impression on me ever since ( to tell the truth, I cannot help but image the broad, red-haired and tattooed McMurphy of the novel as Jack Nicholson – but that’s okay, his interpretation was majestic). Chief is telling McMurphy’s story from his eyes, and we as spectator are force to take this point of view as well, that is either incredibly into focus and vivid or filtered through hallucinations. In my opinion is this distortion from a plain narration that makes this book so interesting, dreamy and cruel at the same time. I’m just so absorbed by this book. I’m mopping near the ward door when a key hits it from the other side and I know it’s the Big Nurse by the way the lockworks cleave to slide through the door with a gust of cold and locks the door behind her and I see her fingers trail across the polished steel – tip of each fingers the same colour as her lips. Funny orange. Like the tip of a soldering iron. Colour so hot or so cold if she touches you with it you can tell with. She’s swelling up, swells till her back’s splitting out of the white uniform and she’s let her arm section out long enough to wrap around the three of them five, six times. She looks around her with a swivel of her huge head. Nobody up to see, just old Broom Bromden the half-breed Indian back there hiding behind his mop and can’t talk to call for help. So she really let herself go and her painted smile twists, stretched to an open snarl, and she blows up bigger and bigger, big as a tractor, so big I can smell the machinery inside the way you smell a motor pulling too big a load. (…) All the patients start coming out of the dorms to check on what’s the hullabaloo, and she as to change back before she’s caught in the shape of her hideous self. I don’t want to add other pieces, not to ruin the book for a new reader, but around page 77 there’s something jaw-dropping . This was a revealing moment, and it was then I decided that I would do it again, travelling alone: pouring rain was approaching, wind was hauling inside my ears, there was not much I could do that day, but at the same time I felt completely free of deciding of my own time. I had planned to do some trekking, but the downpour kept me inside. This is much all of it: I decide to cancel my reservation in Doolin and go back one day earlier to Dublin, to visit some more of the city the next day before taking the plane. Next time I want to go in Norway… ! I took another bus to reach the Cliffs of Moher. From Galway to the Visitor Centre in the middle of the cliffs it takes about two hours of ride. I went with Bus Éireann, and the route followed the coast around Galway bay and then down in the strange and rocky landscape of the Burren. Looking outside the bus windows ad the gloomy sky and at the sea, I was feeling amazed: The cliffs of Ireland are an old dream of mine becoming real. I arrived at the cliffs at 10 o’clock: in the bust was just me and two girls from Germany, loaded with big backpacks. The sky was cloudy and the air chill, rain was forecast for the late morning. From the Centre I walked along the southern edge of the cliffs until Hag’s Head, and back, that is in total around two hours of walk. I met just a couple of people more: I had the cliffs all by myself. Coastal path from the Visitor Centre to Hag’s Head. The coastal path has been modified due to recent landfalls. It started raining when I was around an hundred metres from the ruins of Moher Tower. I was well far away from any type of shelter, so I decide to prepare my lunch nevertheless at the foot of the tower and just enjoy the rain against my glasses and raincoat. On my way back mist started to raise as well, and I understood how lucky I’d been: the landscape completely changed, and all the cliffs just disappeared, eaten by the mist. The visibility reduced to just few hundred metres. Sky and sea blended together in greyness. I walked back to the Visitor Centre and waited there for the mist to fade away. More tourist started to arrive and fill the place. I bought myself a cup of tea and visited the exhibition about the cliffs environment that was currently taking place at the Centre. I then resumed my walk along the northern part of the cliffs towards the village of Doolin, where I was staying that night. I was planning to walk the full coastal path to Doolin, but I was wearing sneakers and the ground was very slippery from the recent rain. Further more, more gray clouds where accumulating on the northern horizon, and mist was still looming at my back. I decided to abandon the cliffs edge and find a way to a road in the countryside that was showing on my map. This resulted to be a good idea, and I discovered the village of Lough and the lovely, silent Irish countryside, where not a soul was around. The road as I emerged from the cliffs edge. Approaching the village of Lough. The Aran Islands are visible again. The Jam Shop is the only touristic spot in the village. This part of countryside must be lively with tourists during the summer, but then I was off season and I met, in two days, just few other travellers, mostly alone: all the shops closed, the ferry service suspended until second week of March, the Aran Islands isolated from the mainland… Everything was soaked in a eerie silence and immobility – a sense of waiting, a tension. For me, was pure magic. I was staying at the Doolin Hostel, which I recommend. After leaving my clothes to dry (I had a room just for me this time! ), I decided to walk for another 20 minutes until the pier. Now the air was cold and the wind rising. Just in front of the Pier is the round island I saw from far away. The Pier had a deep sense of abandon and wilderness, emphasised by the shut ferry offices, and I stayed there for a while breathing in the wind. Harry Potter and the Half-Blood Prince was filmed at the cliffs. That evening I had dinner (Irish beef stew, bread and butter, with Guinness) at McGann’s Pub. There I saw again the two German girls of the bus, a lone young woman from Sweden, and a Texan Man. I walked back, in pitch darkness, toward the hostel. Misty rain blurred my sight, the air was cold and damp. That night I sleep beautifully. In the early morning of the 26th of February, I grabbed my backpack and I rushed to the airport. Packed tightly in the small backpack I had clothes for five days, and I was thinking of buying later all the other necessities for my survival. It was the first time I travel alone: I must had been nervous, but at the moment I wasn’t feeling anxious at all. I planned my trip in a way I could sleep in a different place every night: Dublin, Galway, Doolin (at the start of the Cliffs of Moher) and then in Dublin again. Furthermore, I decided to sleep in shared rooms in hostels. It was just fantastic. I never felt so free and in peace with myself in my life. Ireland is a wonderful, safe place with amazingly friendly people. And is so easy to get around. The hostel I chose was just left of the city centre, not far way from the Guinness Storehouse. I spend the day along the river Liffey – I walked until the port – and most of the evening in a pub called Teac na céiBé, listening to live music and chatting with some other tourists. Before going back to the hostel, I grabbed some dinner and then went to the croudy Temple Bar to listen to some more live music. The next morning I woke up early to catch the bus to Galway (during all this holiday, actually, I woke up naturally every morning well before my alarm: my body and my mind were full of energy). Smaller, almost like a village, Galway was an enchanting surprise, and I found myself thinking I would had loved to live there. The most impressive thing was the sound of the gulls, loud and shrill even in the hearth of the city. I had a long stroll at the harbour, at South Park, and along the road that connect Mutton Island to the mainland. The sun was hot and blinding and for a while I remained just in short sleeves. During the afternoon I explored the centre, and I stopped to listen to a street artist (Katie O’Connor has a truly beautiful voice). In the evening I found myself wandering along the streets, looking for a nice place to spend a couple of hours, when I heard some music coming from a pub called Tig Coili. I sat at the counter and order a beer. The woman next to me was alone as well, and another girl sat for a while near us as well. The next day, in the gloomy and windy Doolin, I would meet more girls and women travelling alone. Before coming back to the hostel, I stopped in an off license to buy some bread and cheese to bring to me the next day on the cliffs. Il flyby di Ultima Thule da parte della sonda New Horizon, di soli due giorni fa, mi fa tornare a vagare con la mente oltre l’orbita dell’ultimo pianeta: la Fascia di Kuiper, e poi la Nube di Oort. La parte più esterna del Sistema Solare è ancora inesplorata, e la sua stessa esistenza è una scoperta relativamente recente. Sto preparando un post su New Horizon, Plutone, e Ultima Thule, ma intanto scrivo questo pezzettino. Di tutti gli oggetti transnettuniani, Sedna ha sempre esercitato su di me una certa fascinazione. E il nome che è stato scelto per battezzare questo pianeta nano che orbita agli estremi del Sistema Solare, impiegando più di 11 mila anni per compiere un’orbita attorno al Sole, è perfetto e fa risonare l’immaginazione. 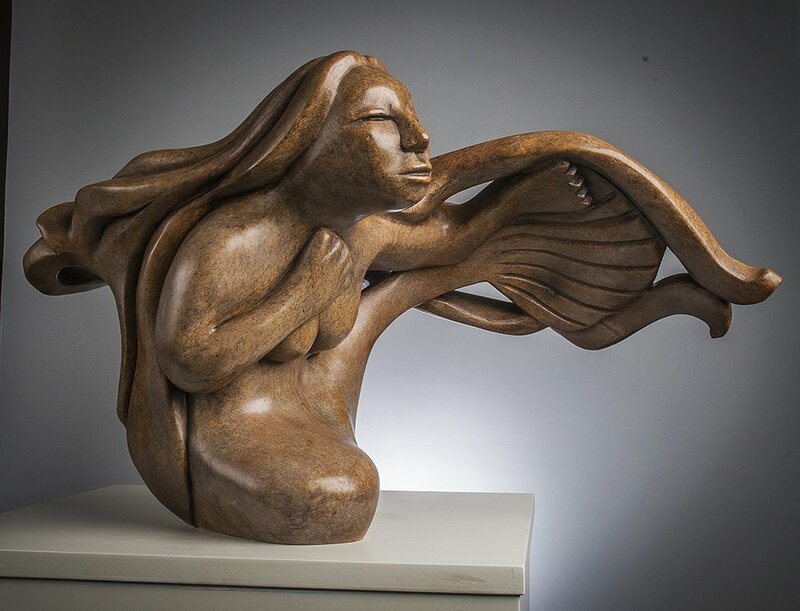 Sedna è la dea del mare e delle sue creature nella mitologia inuit, legata alle fredde profondità del mare artico, “madre del profondo”, e creatrice degli animali marini. Lei controlla l’abbondanza di foche, trichechi, pesci, e di tutti gli altri animali su cui basa il sostentamento delle tribù artiche. Quello di Sedna è un mito della creazione, e il momento di transizione da giovane donna a potente spirito (lo spirito più potente del pantheon inuit) avviene mentre la giovane Taliayuk e suo padre sono in mare aperto in kayak (la ragione è diversa a seconda della versione del mito che si sceglie). Per salvare se stesso, il padre spinge la figlia in acqua. Ma lei riemerge e si aggrappa all’imbarcazione, e resiste ai colpi di remo che il padre le sferra sulle dita. Quando le sue dita sono ormai congelate dal freddo, vengono spaccate dal remo, e la ragazza spofonda nell’oceano, seguita dai monconi delle sue dita. “Taliayuk si aggrappò con tutte le forze al kayak, rifiutandosi di tornare col marito. La canoa stava per ribaltarsi ed allora, il padre, con un colpo di remi mozzò le prime falangi della figlia, che non appena toccarono l’acqua generarono i narvali. A quei colpi ne seguono altri: dalle falangi mediane nacquero balene bianche e beluga, mentre dalle ultime le foche. Dopo un colpo in pieno viso, la giovane sprofonda nelle acque gelate. Qui diviene Sedna, dea del mare, con la parte inferiore del corpo simile alla coda di un pesce. Spirito potente ed inquieto, che prova odio per il genere umano. Quando è furente con gli uomini che perpetrano inutili crudeltà agli animali, increspa il mare e scatena tempeste e uragani. Per ingraziarsi la dea, gli Inuit, tramite uno sciamano, inviano un messaggero a pettinare e intrecciare i lunghi capelli che lo spirito non può più curare perchè priva delle mani. Solamente quando si rabbonisce libera i suoi figli, per permettere alla popolazione di sfamare le loro famiglie. L’oceano era vuoto a quel tempo: dai monconi del suo corpo Sedna inventa e dà vita alle creature marine, per non restare sola. To tread the paths the lesser are denied. L’orbita del planetoide 90377 Sedna è incredibilmente ellittica e inclinata: nel punto più vicino al Sole si trova a 76 unità astronomiche, ma nel corso del suo viaggio di 11 mila anni si allontana fino a 936 unità astronomiche – sembra l’orbita di una cometa. 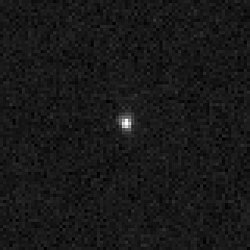 Sedna è stata scoperta nel novembre del 2003: era l’oggetto orbitante attorno al Sole più lontano che fosse stato mai individuato, eppure si trovava allora abbastanza vicina alla Terra. Ad 84 UA ora, raggiungerà il perielio nel 2076. Negli ultimi anni sto leggendo diversi libri di fantascienza: in questo momento sto divorando un romanzo di Arthur C. Clark dopo l’altro. Penso che la fantascienza non sia affatto un genere secondario e di solo intrattenimento, ma tutto il contrario: nelle grandi storie di fantascienza le invenzioni della società futura o il paesaggio di un mondo alieno sono spesso elementi marginali – degli espedienti -, e il vero protagonista è l’uomo spinto ai suoi limiti intellettuali ed emotivi, spesso alla riscoperta di ciò che ha, o alla riconquista di ciò che ha perso. Un buon libro ambientato nel lontano futuro è una fonte inesauribile di riflessioni e domande, alcune inquietanti, altre molto tristi, altre ancora affascinanti. La mia mente viene trasportata verso immagini e scenari fantasiosi, ma trovo anche specchi e riscontri. Mi piace molto vedere come nell’universo Asimoviamo l’uomo si sia espanso, assieme ai suoi robot, per tutta la Galassia, mentre, ad esempio, nell’immaginario di C. Clarke, fuori dai confini del Sistema Solare esistono razze aliene più o meno avanzate rispetto a quella terrestre. Un tema che mi sta affascinando molto è la perdita dell’eredità del passato, per cui l’esistenza di un unico pianeta di origine chiamato “Terra” diventa una leggenda, e non solo la memoria, ma anche le coordinate nello spazio del nostro mondo vengono perdute (Foundations series, Asimov). In un’altra visione, ad essere perso è l’ambiente esterno, naturale, e l’umanità vive in città artificiali ed autosufficienti, e si è persa da generazioni non solo la memoria dell’oceano, ma anche del sole e del cielo stellato (ad esempio The City and the Stars, C. Clarke). 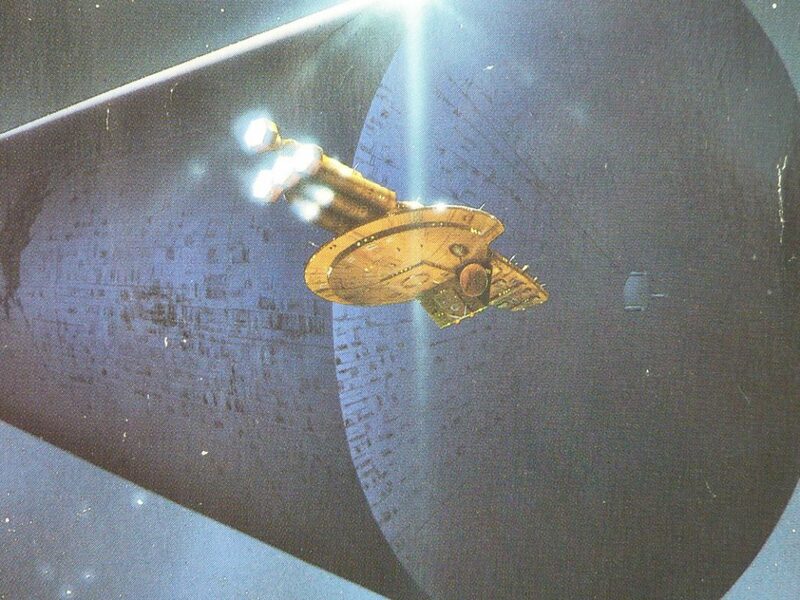 Illustrazione di Don Dixon per Nightfall, Isaac Asimov. Illustrazione di Joe Wilson per 2001: a Space Odyssey. Spostando l’azione nel futuro, ci si interroga sul presente e sul passato, e sul significato stesso dell’essere essere umani e abitanti di un pianeta in un universo infinitamente più grande. Fox cub study from yesterday night using a video as reference.